Available for purchase online or at event. Visit the Amateur Race Office in Sponsor Village to purchase at event. Online purchasers redeem ticket for Pit Pass at Pro Pit Entrance. Cost: $20 online and at the event. VIP Super Ticket, Holeshot Club and Racer X Pit Pass holders must pick up their credentials at Will Call/Rider Services, located to the left of the Main Entrance. Here are some frequently asked questions regarding ticketing. 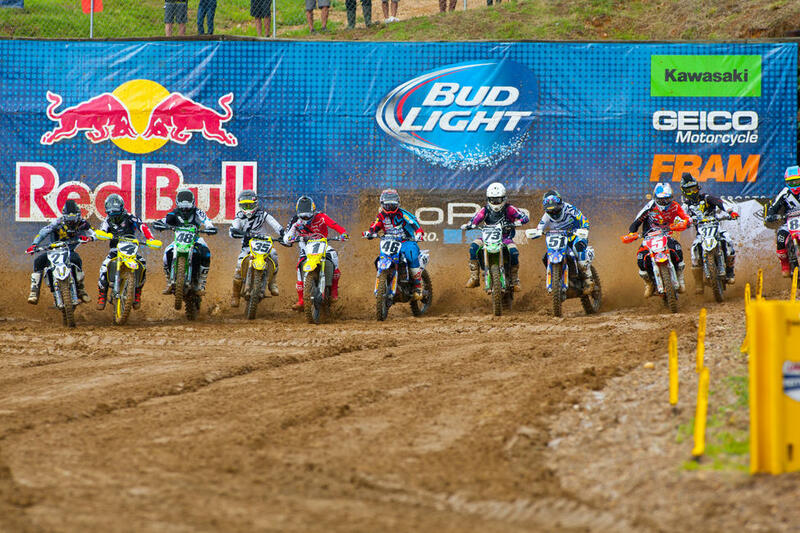 For more information on the Budds Creek National, please call our offices at (304) 284-0084. Other than the VIP Super Ticket, the Holeshot Club is the best ticket available! The Holeshot Club includes admission Thursday-Sunday, private viewing area right next to the Holeshot Line, plus Pro Pit access all weekend, including all day Saturday 9am-5pm. There are two types of Pit Passes available to you: the Racer X All Day Pit Pass and the Early Entry Pit Pass. You can purchase Racer X Pit Passes online in advance as they generally sell out. Early Entry pit passes are sold online in advance, as well as on-site at the event. Racer X Pit Passes are good for all day Pro Pit access while Early Entry Pit Passes are only valid on Saturday from 9am until noon. There is limited availability on both types of Pit Passes and they may sell out. Yes. You are allowed to bring in a cooler and you may bring in alcohol. However, NO GLASS BOTTLES ALLOWED. ALSO, NO ALCOHOL ALLOWED IN THE PRO PITS.